Ground Penetrating Radar Systems, LLC. – GPRS of Arizona was contacted by a local realtor to locate and confirm any possible voids or septic tank underneath the concrete slab throughout a 1930's vintage property in the central Phoenix, AZ area. The local residential property was built in 1932 and had an extensive history of renovations and repair. As such, it was believe that a septic tank was once on the property but was since removed and filled with soil. GPRS was called up on to locate the possible area which was suspected of experiencing settling soils where the septic tank once belonged. 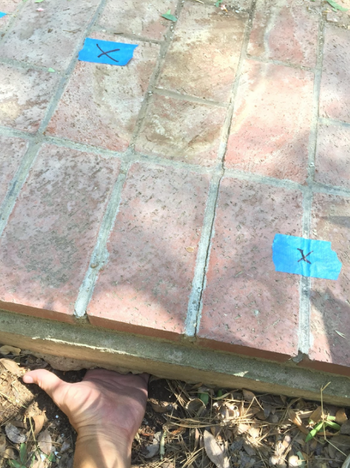 Ground Penetrating Radar Systems was able to scan the entire one acre property and locate a void underneath the backyard patio. This void was evident and found to be direclty underneath the patio slab. The shape of the void was traced and marked directly on site. it was further discovered and confirmed that soil was, in fact, settling beneath the slab as the technician could reach beneath the slab. While no septic tank was found to be present, this was further reported as the area in which the septic tank once lied and where backfill soil was filled in it's place. This explained the reason for the settling soil and the findings of GPRS confirmed the presence of the void and provided the critical information needed by the homeowner to take the next steps for repairs while saving cost and time by avoiding demolition and destructive testing. Ground Penetrating Radar mapping is a great tool to scan many areas to see beyond the surface of a concrete slab, not only for voids underneath a concrete slab, but also for post tension cables, rebar, and conduits, including PVC pipes. Ground penetrating radar can also be used to locate underground utilities such as water, gas, electrical, communication, sewer, and other objects prior to digging or excavating. Please contact Ground Penetrating Radar Systems - GPRS to learn how we can assist with your next project. 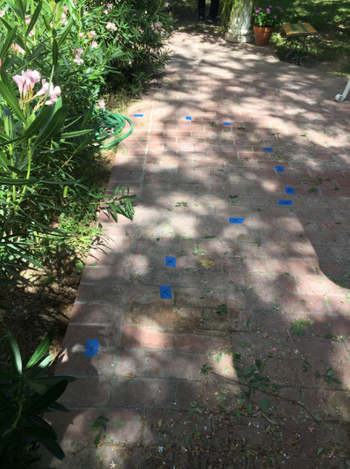 GPRS has done many projects such as this in Phoenix, Tucson, Yuma, Flagstaff, Prescott, Kingman, and throughout the entire state of Arizona and performs GPR surveys throughout the United States. Contact Nate Holscher (Regional Manager) at (480) 227-8614 or nate.holscher@gp-radar.com today to schedule an appointment for a free demonstration or if you have any inquiries for your next project.